Intellectual, learning and developmental disabilities. including autism spectrum disorders, are estimated to affect approximately one in six children under age 18 in the U.S. Infants and young children with intellectual and developmental disabilities may spend more time in the crawling stage of development than those without disabilities. More time on the floor in many cases translates to higher intake of toxic chemicals that migrate from objects to household dust. Evidence shows that lead, mercury and other neurotoxic chemicals have a profound effect on the developing brain at levels that were once thought to be safe. Scientists have learned that the developing human brain is much more susceptible to toxic substances than the adult brain. Windows of unique vulnerability occur as the brain begins to develop in utero and continue through adolescence, along a precise and delicate step-by-step sequence involving various neurobiological processes. A chemical exposure at three months gestation may result in a different effect than exposure to the same chemical at six months gestation or at two years of age. Adults with intellectual and developmental disabilities are also at greater risk of exposure to environmental hazards than their non-disabled peers because on average, they tend to spend a greater percentage of their time indoors, live in older buildings (lead paint), live in higher density areas (roaches, bed bugs, radon), and may be exposed to a greater number of residential pesticide treatments. Because these adults have medical conditions and vulnerabilities, exposure to these environmental threats can result in unnecessary medical crises, higher cost to society, lower quality of life, and in some circumstances, death. These conditions impose tremendous psychological and economic costs on the affected children, their families, and communities. Just the cost of providing special education services to students with disabilities amounted to $77.3 billion in 1999–2000, an average of $12,474 per student. According to the U.S. Centers for Disease Control and Prevention (CDC) individuals with an autism spectrum disorder have average medical expenditures that exceed those without the disorder by $4,110–$6,200 per year. 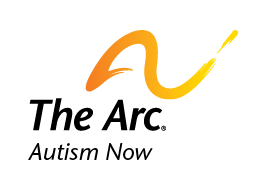 A 2006 study reported that the economic costs associated with autism in the U.S. are approximately $35 billion dollars per year. American Association on Intellectual and Developmental Disabilities. Environmental Health Initiative. Retrieved on March 17, 2011. American Association on Intellectual and Developmental Disabilities. Healthy Chemicals, Happy Families Health Report. Retrieved on March 17, 2011. Find similar content about: Health.